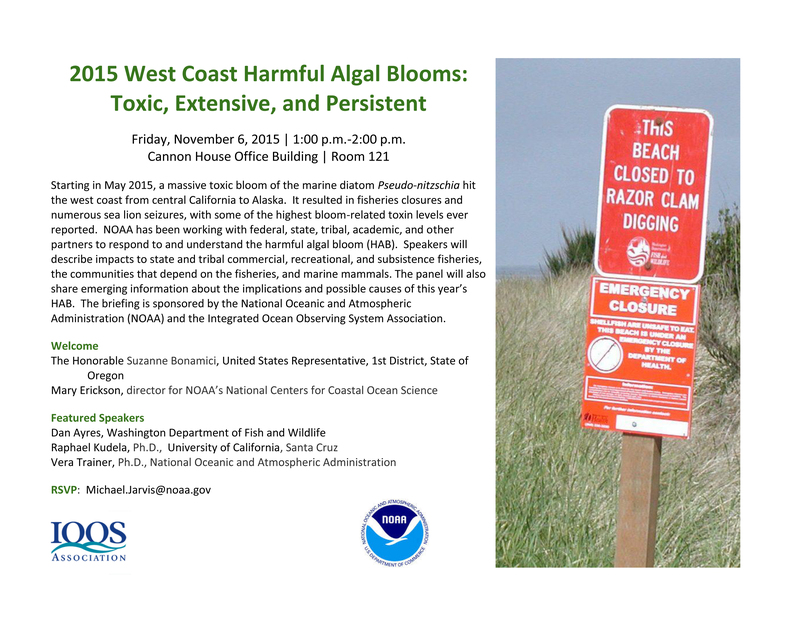 NOAA Briefing; 2015 West Coast Harmful Algal Blooms: Toxic, Extensive, and Persistent! Action Required! WA Dept. of Fish & Wildlife Coastal Shellfish Manager, Dan Ayres, has contacted the Razor Clam Society regarding an upcoming briefing in Washington D.C. that will address West Coast Harmful Algal Blooms. This is a serious issue that affects recreational razor clammers and communities that host razor clamming. Mr. Ayres will be a featured speaker at the event. Additionally, NOAA, the event organizer, is asking for assistance in getting the word out to congressional staff through multiple channels to raise awareness of this briefing, and the issues it will address. Please take time to contact staff working for members of congress, especially staff working for Washington Rep. Herrera Beutler, Rep. Kilmer and Sen. Cantwell. Follow those links to contact your lawmaker directly. If you live in Alaska, California, or Oregon, this is important for you too. Contact your Senator or Representative! And, please share with us your stories about how algal blooms and marine toxins affect you! We will pass on those stories to Mr. Ayres. Thank you. Friday, November 6, 2015 | 1:00 p.m.-2:00 p.m. The Razor Clam Society has analyzed data obtained from Washington Department of Fish & Wildlife and concludes that razor clam license sales for the 2014-2015 fiscal year (FY) could have reached record levels. WDFW fiscal year begins in July and ends in June. Keeping in mind that the season was cut short by approximately 10 digging days due to high domoic acid levels, the 2014-2015 might have beat the previous fiscal year. WDFW has estimated that approximately 397,000 trips were made to WA State beaches to dig razor clams during the fiscal year. With the shorter season, WDFW estimated about 90,000 digger trips were not taken. Had the season not been shortened, the data suggests new highs would have been reached, beating the previous high tide set during FY 2013-2014. The full WDFW report of the season can be found here. Here we ONLY provide the total number sold for all Annual Razor Clam and 3-Day Razor Clam licenses, including non-resident licenses. We do not extrapolate, nor have we attempted to estimate, the number of Razor Clammers that also purchased combination licenses. We have not been provided with month over month data. Please donate to the Razor Clam Society to help us conduct further research that supports the recreational razor clamming community. Sadly, we were unable to obtain current and up-to-date data from fish & wildlife administrators outside of WA State. With your help, the Razor Clam Society will be able to supplement the hard work undertaken by fish and wildlife administrators in Washington, Oregon, California, Alaska, and British Columbia. 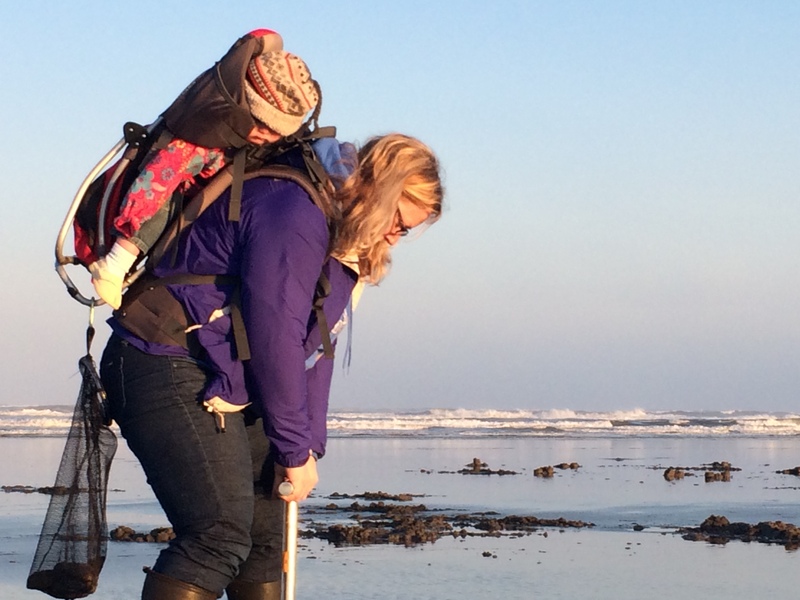 We seek to support and sponsor research that would provide data to assist administrators in further understanding razor clam populations that will hopefully result in more recreational opportunities for razor clammers. 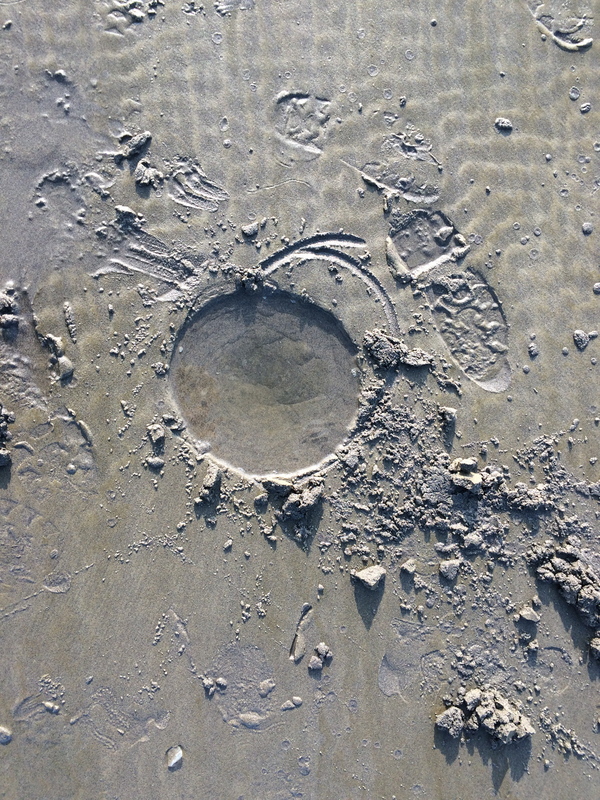 OLYMPIA – Elevated levels of marine toxins have prompted state shellfish managers to postpone the start of razor clam digging on ocean beaches this fall.